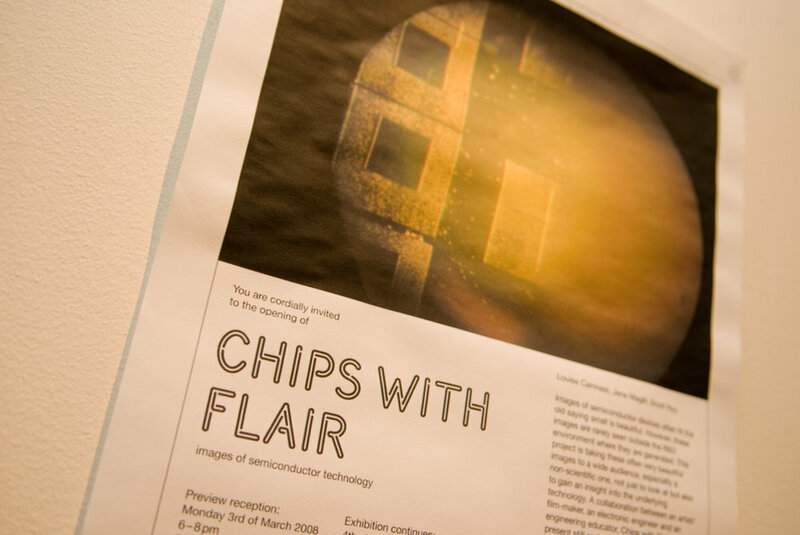 "Chips with Flair" commissioned by Glasgow University to show the process of semi conductor technology. the final exhibition combined large printed images with drawings and was accompanied by musicians "the Paragon Assembly" who composed music inspired by semi conductors. "Street Vibe" a project funded by the EPSRC (Engineering and Physical Sciences Research Council) to promote the learning of science and engineering through sound in schools.